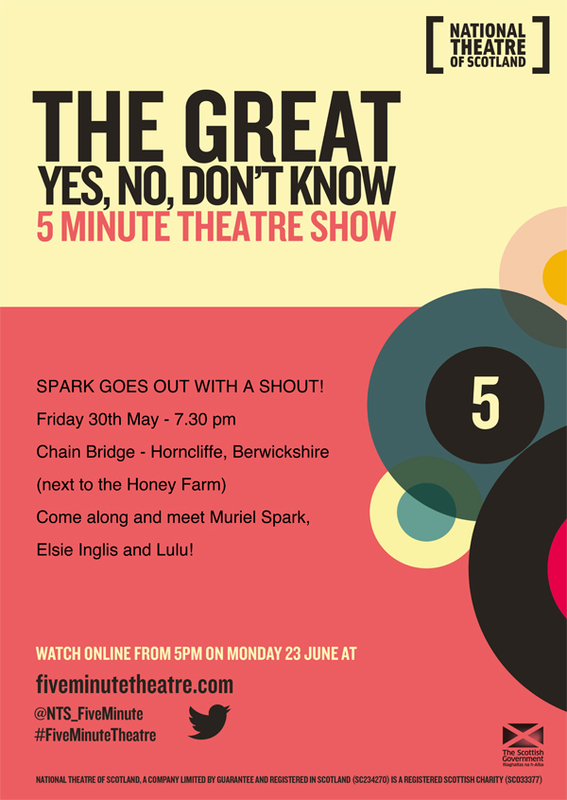 Three famous Scottish women – MURIEL SPARK, ELSIE INGLIS, LULU – a writer, doctor/suffragette and singer are on the Chain Bridge, a boundary in the Scottish Borders between Scotland and England. These women are from different generations and begin to discuss pertinent facts about their lives. Elsie who was passionate about Home rule for Ireland is keen on Independence and leaves to enjoy fruit scones at Paxton House. Muriel is eager to return to the warmth of Italy via a coffee at the Honey Farm. Lulu is left on the bridge with a flask of tea as she tries to decide!